Ronald Wimberly is not only a visual artist creating compelling and colorful images, but has also designed and completed narrative illustrations for multiple graphic novels and companies like Nike and Marvel. He’s even drawn a comic combining Brooklyn gentrification and vampires. 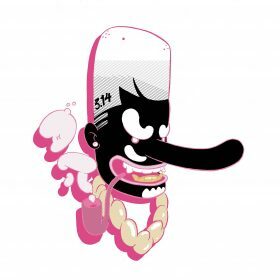 This week, you won’t just find Wimberly’s work within the pages of comics like Prince of Cats and Black History In Its Own Words, but on view in a solo show at Ridgewood’s Superchief Gallery. There, you can see unique renditions of sports players, rappers, bubblegum-colored cartoon creations, and surely much more, as Wimberly has a lot of work out there. Opening Thursday, October 5 at Museum of Chinese in America, 11 am to 9 pm. On view through March 25. 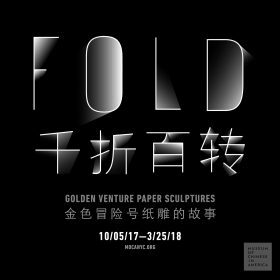 Though the Museum of Chinese in America typically has an entrance fee, it will be free to enter all day on Thursday for the opening of its new exhibition, Fold: Golden Venture Paper Sculptures. The Golden Venture was a cargo ship that took around 282 Chinese immigrants from China to Fort Tilden in Rockaway. They were taken into custody, and the majority of them were held at York County Prison in Pennsylvania. Throughout their time there, the immigrants collectively created over 10,000 sculptures made from folded paper. At this exhibition, over 40 of the actual traditional folk art paper sculptures created by the Golden Venture passengers will be on display, alongside archival materials, interviews with the Golden Venture immigrants, and other items. Immigration is a big news topic right now, but it sure wouldn’t hurt to get a little closer to the issue by way of the actual voices and creations of immigrants themselves. Opening Thursday, October 5 at Gallery onetwentyeight, 6 pm to 9 pm. On view through October 21. The phrase “opioid epidemic” seems like it should belong in the past, but to consider that true would be wishful thinking. Indeed, throughout America opioid overdose is still dangerously high, to the point where a study indicated that the vast amounts of lives lost to overdoses in the past 15 years is bringing down the nationwide life expectancy. 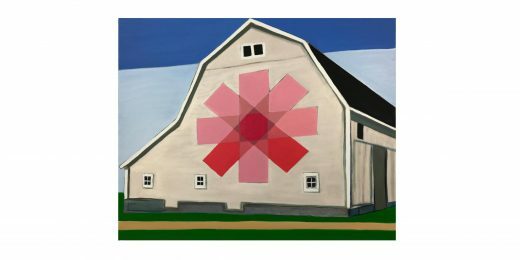 Artist Andrew David Ringler knows this, having grown up in Ohio, a place recently deemed “ground zero for opioid overdose deaths.” His new show The Opioid Trail is a series of paintings of Ohio’s opioid-afflicted rural community and landscape. Rather than sensationalizing them or (literally) painting them as flawed or damaged, Ringler seeks to depict them through a lens of empathy. In addition to checking out this exhibition, now would also be a good time to find a naloxone training near you, and read up on the recent alarming trend of cocaine in NYC and other areas being cut with fentanyl, which can lead to unintentional overdoses and even death. Opening Friday, October 6 at Front Room Gallery, 7 pm. On view through October 29. Recall the times you’ve been in an airplane that’s close to landing but far enough away that the ground below looks like an abstract work of art. There are lines and grids and clusters of trees and houses, but it doesn’t quite look like the real world you know and walk around on. But you know it is. Ross Racine’s ultra-detailed bird’s eye views of sweeping communities and neighborhoods may seem just as real as that airplane view, but Racine actually only creates views of “fictional suburban communities.” Even more impressive, he does so without any sort of photographic reference. This results in a sort of cognitive dissonance in which these renderings look simultaneously hyper-realistic and totally unrealistic, as a closer look at the geographic components reveal roads and organizational components that seemingly make no sense. But perhaps there are similarly illogical constructions in the very places you’ve lived, too.